For No. 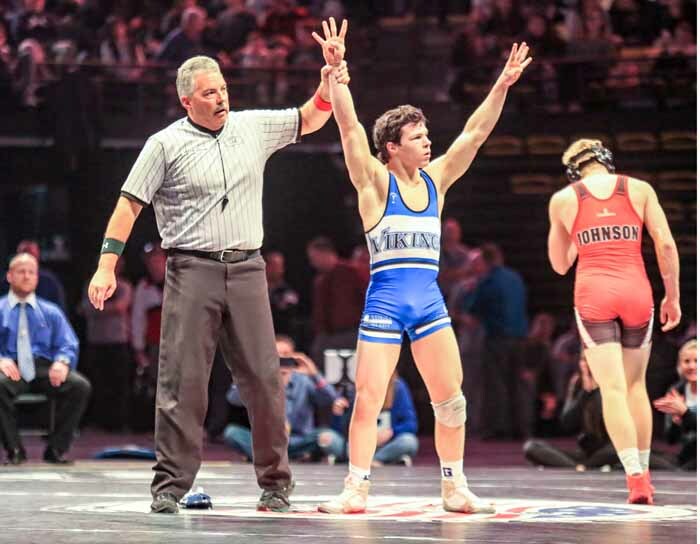 15 in our TOSH Top 30 stories of the year we honor a trio of wrestlers who accomplished something very rare in high school sports – winning four state championships. Since it begins with taking the title as a freshman, winning four state championships in an individual sport is extremely rare. 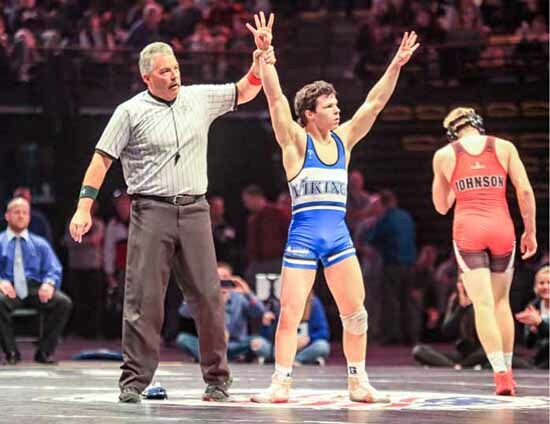 The 2016 state wrestling championships featured three different grapplers who joined 19 champions that had previously accomplished the four title feat. Pleasant Grove’s Ben Anderson won the 5A title at 152 pounds for his fourth consecutive individual championship. Impressively for Anderson, he was also a major part of a Viking team that won state titles each of those four seasons as well. He won his four matches all by pin, including the state finale, when he handled American Fork’s Porter Johnson in just 54 seconds. 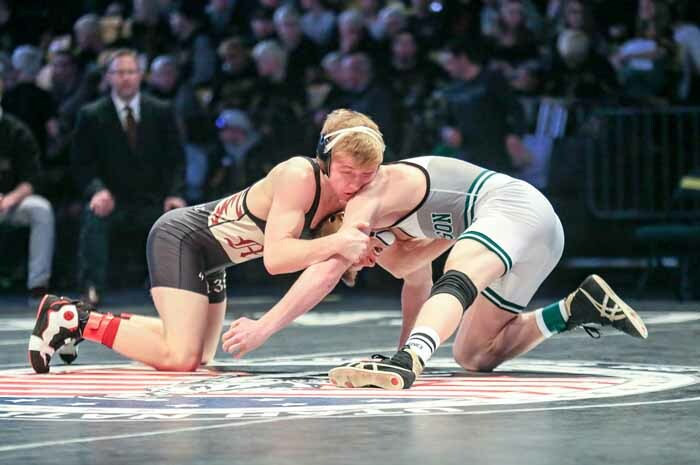 Taylor LaMont of Maple Mountain earned his fourth straight 4A state championship, this time wrestling at 138 pounds. 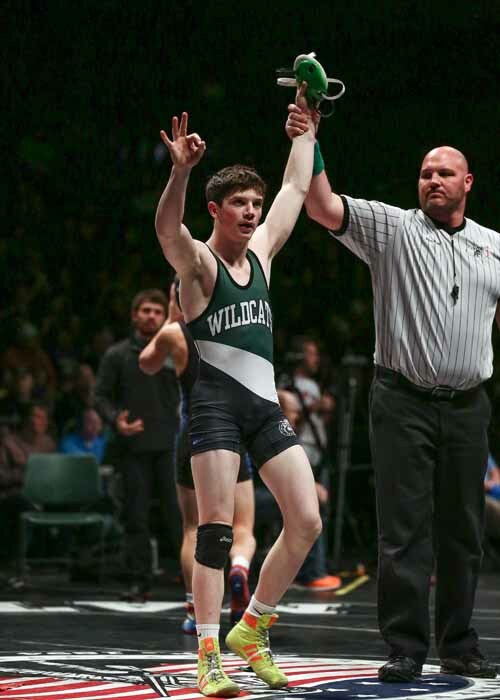 He won his first three matches by pin and then recorded an impressive 12-2 decision over Payson’s Jed Loveless in the state title showdown. The third four-time champion came in Class 2A, where South Summit’s Matt Lee took care of business against Adrian Villa of Millard in the 126-pound division. His pin of Villa capped off a run of four pins in the state tournament for him as well. When the referee raised Lee’s hand as the title winner, the points also clinched the team championship for South Summit after the classification had been dominated for so long by Delta.